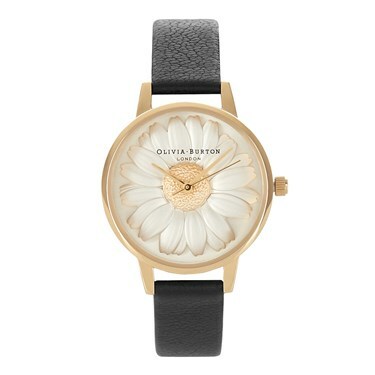 Update your look with this simply stunning Olivia Burton flowershow watch. The beautiful face of this midi watch comes complete with a 3D daisy, that is sure to please this season. The genuine black leather strap is the ideal companion to the gold plated casing. Perfect for adding a classic yet contemporary finish to any look.